Why do we keep sheep? Alex Linden ruminates as he watches his sheep ruminating. Naive and inexperienced, he has ditched his doctoral studies in order to move to a fully working farm in the country with his family, where he is tasked with the responsibility of caring for a herd of sheep. 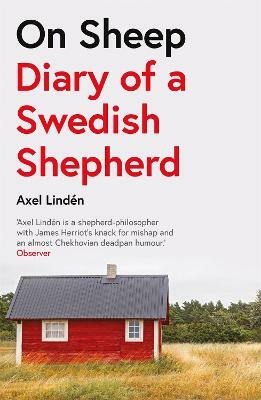 Linden records his new life in his diary, as he tries to manage life on the farm, the ever-escaping sheep and the trials and tribulations that come with being a shepherd - shearing, lambing and confronting the slaughterhouse. Buy On Sheep by Axel Linden from Australia's Online Independent Bookstore, Boomerang Books. Axel Linden was born in 1972. He lives with his family at their farm in OEstergoetland county in the southeast of Sweden. Counting Sheep is his debut.